Smartphones, and more recently tablets, are increasingly becoming the electronic devices of choice for more and more people. This leaves software developers used to PC-sized application interfaces to grapple with a whole new technology. Denver Tech Solutions is here to offer you affordable and high-quality solutions. Despite the attention focused on Mobile App in Denver in the last two years, a lot of developers still lack the basics when it comes to building mobile applications, says Anthony Fabbricino, developer marketing manager for Forum Nokia. Looking at mobile app design companies in Colorado, one can say that there are many players, but few that offer extensive knowledge in the latest technology stacks. Denver Tech Solutions is here to make the difference. We offer high quality, long-term collaborations that results in the best features for your mobile apps development in Denver for small or big businesses or for your academic or research needs alike. Denver Tech Solutions is one of the leading mobile apps development companies in Denver and have a team of six developers working six days a week to deliver quality applications with quick turnaround time. All our client’s apps are fully customized to their specifications. We develop everything from the logic and architecture to the graphics and sounds of the apps. Contact us to receive a signed NDA and then setup a time to discuss your mobile apps project. We can also provide links to our published apps. What’s so special about Denver Tech Solutions? We offer state of the art custom apps according to any scope of work. Whether it is Android wear, IoT, AppleTV, VR/AR Apps, or any other kind of app, we can deliver a custom solution. We stand apart from the other app development companies as we offer end-to-end solutions to our clients to generate optimal mobile experiences, with continuous maintenance and support to your short as well as long term requirements. We have an adroit team of expert android developer Denver as well as ios developer Denver who thoroughly focus on your individual needs and assist you in developing a mobile strategy that will take your business to the next level. Along with offering proven delivery methods, we offer competitive rates that help you achieve the best end product at the minimal of prices. – Web Services: This is taking the content to a remote access point so that you can update your app with XML files instead of raw code changes. – Game Center: Apple apps that include groups, leader-boards, achievements, and multiplayer compatibility for your Game Center games. – API integration for tracking and GETTING PAID for your apps such as Google Analytics, Chartboost, Applovin, Xplode, AdMob, and Tapjoy. Denver Tech Solutions offers maintenance and app updates, all while minimizing costs. 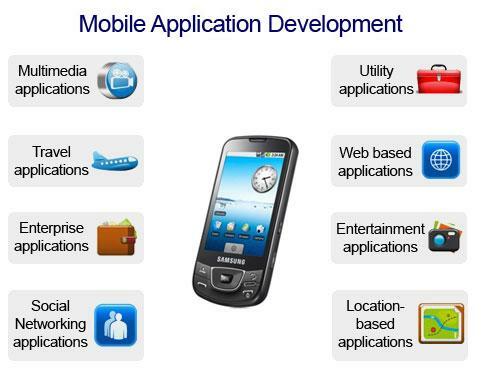 Click here to contact us or call us today at 720-744.2412 for mobile apps development in Denver.